Pink is the new black. 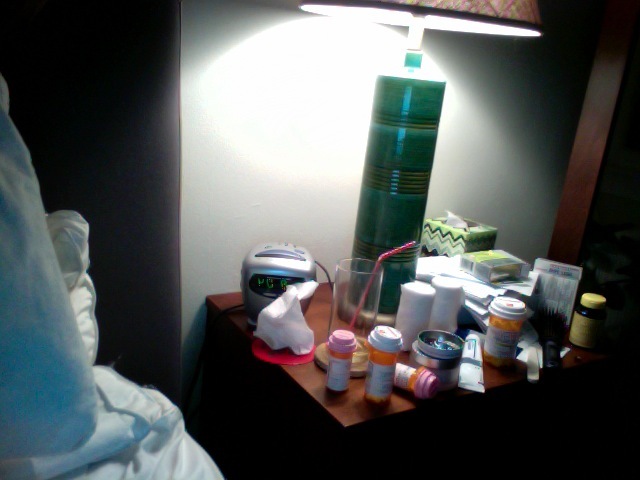 : Nightstand or Mini-Pharmacy? Ah... The interior design elements that come along with having surgery.